seasons wrote: This was my first computer that I ever bought. It brought me so much happiness and so much frustration. I could never bring myself to pull the labels off the front, so I think I just left them on here exactly like this for like 3 years or however long I had it until it bit the dust. It looked just like the one on the right in in this picture. Also, I had an external iomega (?) zipdrive sitting on top of the thing. I was never able to do anything with it besides type papers, download music on Napster and surf the web, but I'm sure it was the computer I had when I first found AMVs and that I probably tried to see how I could use it to get started editing myself (nothing came of this and I'd go through two more PCs before this would finally work out). This is such a weird blast from the past. In my case the eTower is just donor parts since I couldn't find a compete eMonster, just the faceplate. But those stickers are for sure pure 90's cheese 'This computer is never obsolete!'. So I had to recreate them in vectors so I could reproduce them. When I retired it, it just didn't seem important, I had an Athlon XP to replace it. An Athlon 64. An i5 2500K and so on. I'm not even sure WHEN I discarded it but it happened somewhere there. Meanwhile, what I learned on that machine, that's what has me working on major AAA movies, including a Marvel movie at the moment, so I wanted to rebuild it with modern internals while having all of it's external components still operate. Part 2 will cover RAID 0 SSDs and the Time Capsule upgrade to 3TBs. Added that to my 'Watch Later' since I tend to watch YouTube before bed instead of other times. But the question of 'What machine can edit video?' 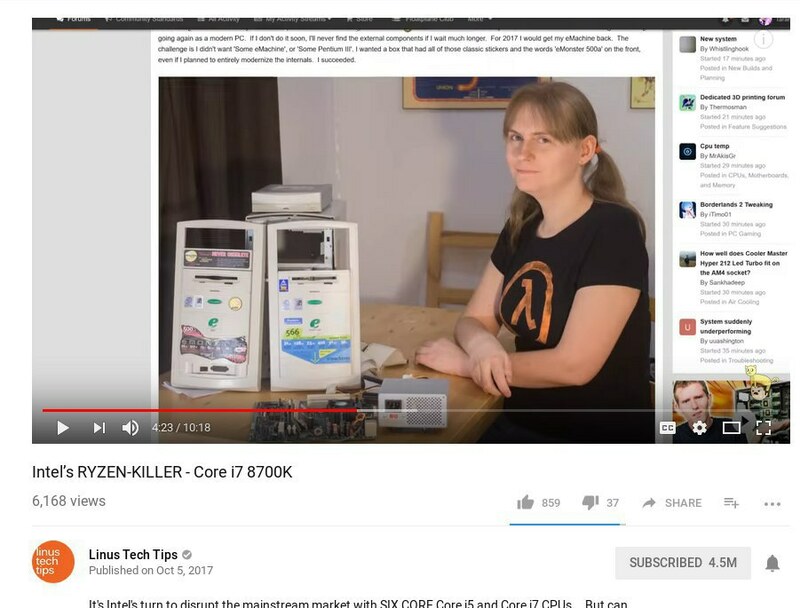 that I see asked a lot on the Linus Tech Tips forum which I actively post on. The posts are usually by 'kids' wanting to become youtube streaming heros and talking about 'Content Creation' PCs and talking about a billion cores and all the RAM and stuff. I'm always kinda fumbled by it since people have been editing 1080p pretty much since the first BD ripping tools appeared and we didn't all have easy access to quad core PCs back then. And when in doubt, transcode everything to Lagarith and it'll run on a toaster if you have enough storage. I watch Linus, but I prefer Snazzy Labs and It's My Natural Color, whom I have thanked at the end. 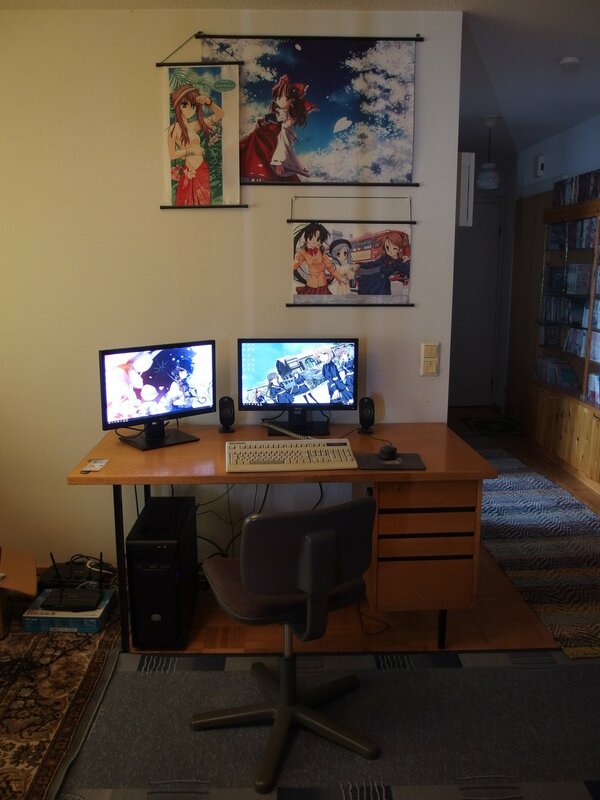 I'd like to get a better camera and studio set up, but that's pretty far in the future, I would guess..
Kionon wrote: I watch Linus, but I prefer Snazzy Labs and It's My Natural Color, whom I have thanked at the end. 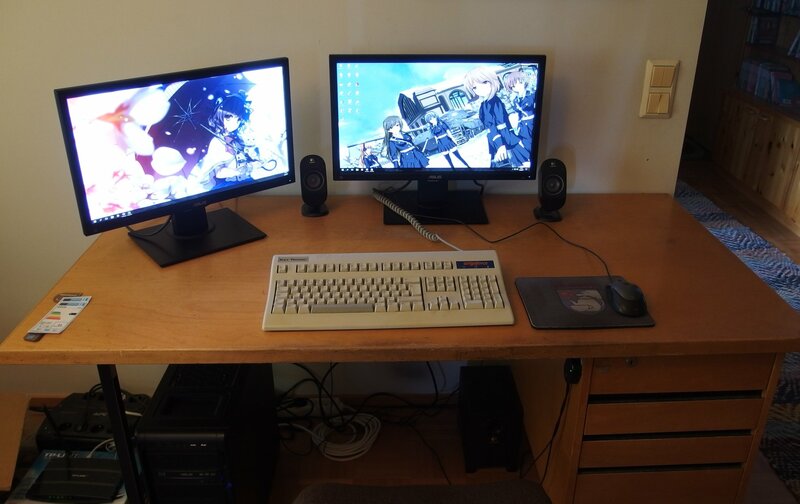 I'd like to get a better camera and studio set up, but that's pretty far in the future, I would guess..
LOL that old school keyboard tho! Nice. Mechanical keys? Kionon wrote: LOL that old school keyboard tho! Nice. Mechanical keys? It is a truly old school keyboard.. same kind I have been using since I got my first PC (which was early 90's). Whenever I try another keyboard, I soon just end up thinking "I don't like this..", and then go back using one of these.